For limited time only, if you buy this theme we will install and set it up for you for free! Please contact us with your license key, ftp and admin panel details (you need to have a clean opencart installation). 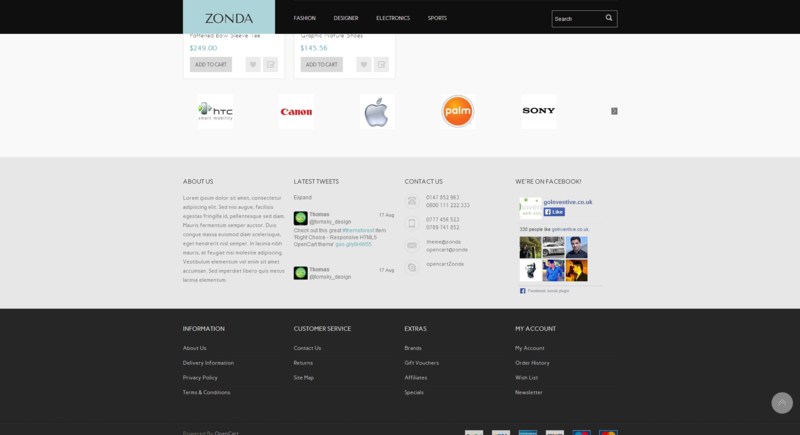 Welcome to Zonda, extremely powerful and beautiful Opencart theme. 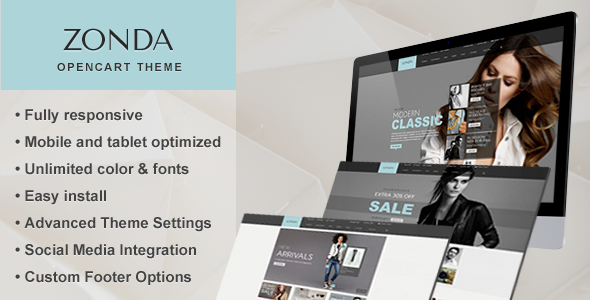 We have been working very hard to deliver this powerful theme and enable you to change your store completely and enhance your customers experience. This theme comes with its own mega admin panel which lets you customise the theme the way you want it.